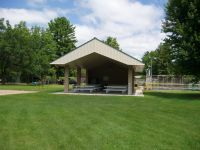 The Village has a beautiful park located on South Biron Drive. Along with the park equipment there is a tennis court, basketball hoops and a volleyball/pickleball court. 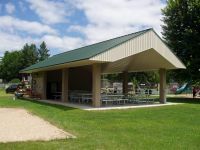 The shelter house at the park is available for rental. Call 715-423-6580 to make reservations. Park hours are from 7:00 a.m. to 11:00 p.m. Sunday through Thursday and until 12 midnight on Friday and Saturday. Village of Biron curfew for anyone under age 18 is 10:00 p.m. Dogs are not permitted in the park.